James Joyce is undoubtedly the most influential writer of the early 20th Century. 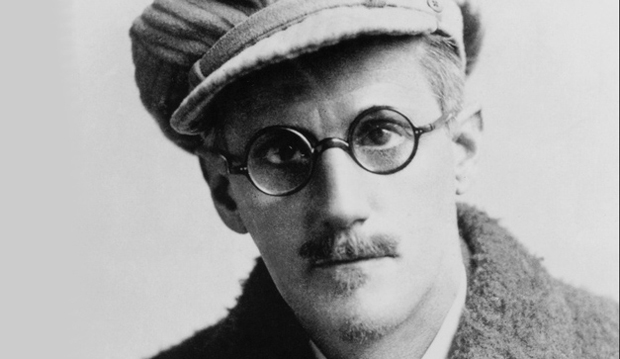 A master of the stream of consciousness technique, Joyce’s career defining work was the Ulysses (1922), a modern version of Homer’s Odyssey with three main characters similar to the ones in Odyssey. Ulysses has gained the reputation of being amongst the finest novels ever written. Belonging to a big family, James Augustine Aloysius Joyce was born in Dublin, Ireland on February 2, 1882. He was the eldest son of John Stanislaus Joyce and Marry Murray Joyce who had 9 more children. His father was a singer whose disinterest and drinking led the Joyces to live in tight financial conditions. An exceptional child, James was very fond of writing and exploring literature. Not wanting to waste his talents, Joyce’s family encouraged him to get an education. He attended the Irish schools of Clogowes Wood College and Belvedere College moving on to earning a Bachelor of Arts degree majoring in modern languages from the Royal University in Dublin. Joyce moved to Paris in 1902 where he pursued journalism and teaching. However, he returned to Dublin a year later upon receiving a telegram informing him of his mother’s critical condition but left again after her death, this time with Nora Barnacle, who would later become his wife. They settled in Trieste, Italy. He made a living by teaching English, one of the 17 languages he spoke. Joyce’s first book entitled Dubliners (1914) was a collection of 15 short stories. Portrait of the Artist as a Young Man, his second publication two years later was a novel. Although the books did not gain much recognition, they were noticed by American poet, Ezra Pound who acknowledged the author’s avant-garde style. Joyce started developing the foundation of his masterpiece Ulysses in the onset of World War I when he moved to Zürich with his family. The book was first published in France and was banned in the US and UK due to censorship rules where it became legally available in 1933 after much struggle and debate which only added to the hype of the book. The publication of Ulysses ended the struggling days of Joyce and he moved to Paris with his family. In 1923 Joyce started work on his next famous work, Finnegans Wake. It was during this time that Joyce developed an eye condition due to glaucoma that would cause him to go near blind for some years. The first part of the novel was published in Madox Ford’s transatlantic review in April 1924 and was referred to as Work in Progress. The second and final part appeared in 1939. While some people called it a masterpiece, others criticized it for being a very difficult read. However, the book became popular and earned the title of book of the week both in the US and UK. Joyce spent the last days of his life in Zürich where he moved after the collapse of France in World War II. He died on January 13, 1941. Today, the contribution of James Joyce to literature is celebrated every year on June 16 in Dublin where a statue of Joyce also stands on North Earl Street. The library at the University College in Dublin is also named after James Joyce.